Are you looking for natural acne relief remedies that work? 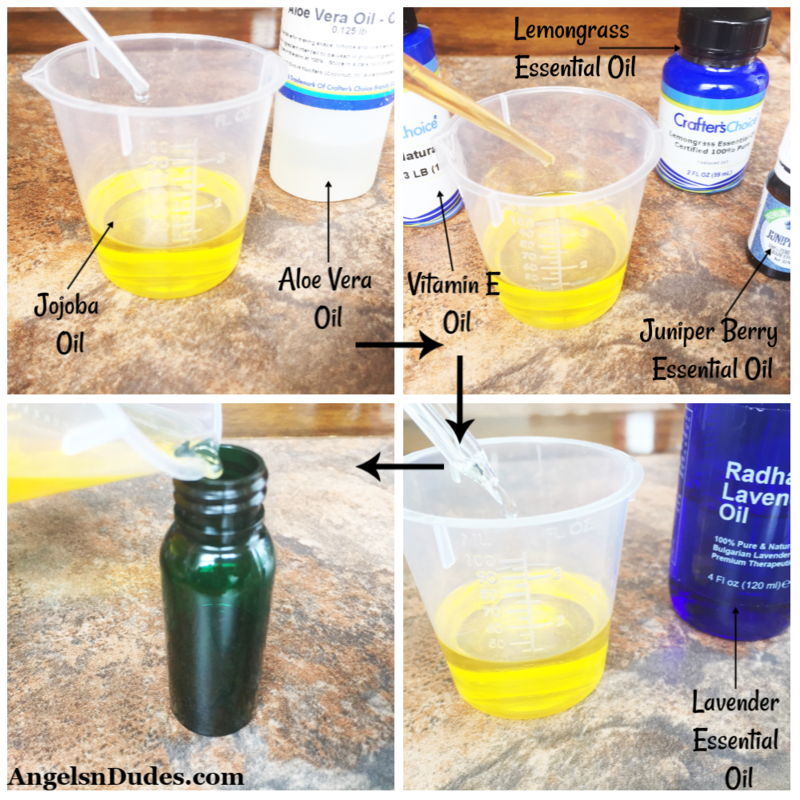 Learn how to make a soothing natural DIY acne serum featuring aloe vera and essential oils for acne relief. As warmer temps arrive, it seems that everything changes — even our skin. Lately, my pre-tween son’s skin has been changing and he has developed acne. I was surprised when his doctor diagnosed him with acne at his age but apparently, acne can happen at any age. Acne occurs when the pores on your skin get clogged with dead skin cells and oil. Bacteria normally found on the skin may also get into the clogged pores. My son’s doctor prescribed some topical medications for him, but the truth is that these products typically contain harsh chemicals that have side effects and sometimes, they’re not effective at all. That’s why I decided to look into natural, home remedies for acne that have been used for thousands of years. 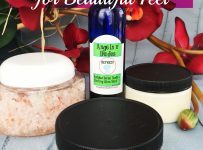 These remedies include essential oils that tackle the root of the problem and most importantly, they’re gentle on the skin. You might think that applying oils to acne-prone skin is a big no-no, right? Not true. Just because you have acne-prone or even oily skin doesn’t mean that you can’t use natural oils. You can apply an easy homemade face serum that’s smooth and light enough to wear during the day and it won’t clog up your pores. It’s beneficial to use a serum featuring a carrier oil rather than an essential oil alone for a few reasons. First, it’s important to dilute your essential oils for safety, especially when dealing with sensitive skin. Second, by adding nourishing oils like jojoba oil and sweet almond oil, the effect will last much longer because the oils don’t evaporate as fast. I also love to add aloe vera to the serum. Aloe is not only soothing to the skin but it also kills the bacteria that cause acne. Plus, it lightens the appearance of age spots and blemishes, heals any imperfections AND plumps up skin to hide wrinkles. Pairing aloe vera with a light carrier oil that works for your skin type and adding a few drops of essential oils that relieve acne makes for a healing, nourishing, and soothing natural DIY acne serum that’s perfect for acne-prone skin. Acne affects people of all ages and it can cause breakouts on the face, chest, back and even arms. It’s caused by clogged pores, bacteria, excess oil production and dead skin. Over-the-counter or prescription medications contain harsh chemicals that can cause further irritation — exacerbating the problem. Essential oils are effective in killing acne-causing bacteria on your skin naturally. Some essential oils for acne, such as lavender, have a number of benefits that go beyond fighting acne. They’re gentle on the skin, are soothing, and protect your skin from irritation and stress. Tea tree essential oil is always on the list of acne-fighting essential oils. It’s widely known for its naturally antimicrobial and antifungal properties. It kills germs and bacteria, and due to its anti-inflammatory properties, it shrinks the size of the pimple while drying it out. Lavender essential oil has antimicrobial and antioxidant properties. It’s soothing and nourishing to the skin — treating acne, relieving itchiness and irritation, healing dry skin, and repairing the skin by reducing the appearance of dark spots and scars caused by acne. With its ability to fight acne and pimples on oily skin, lemongrass essential oil is an awesome homemade astringent. It’s known for its antiseptic and antimicrobial properties that get rid of acne-causing bacteria PLUS it revitalizes the skin and it’s analgesic, which means it can help relieve pain. Juniper berry essential oil has natural antibacterial and antimicrobial properties. It’s one of the most popular natural remedies for fighting skin infections and relieving skin irritation. It’s an amazing home remedy for acne. It also supports beautiful skin and it detoxifies and reduces stress, protecting the body against toxins that lead to acne. If you have sensitive skin, dilute the essential oils with a carrier oil such as jojoba, sweet almond, or coconut oil before applying on the skin. Jojoba oil boosts skin health by soothing dry skin and protecting and cleansing skin. It tames chaffing and chapping due to its anti-inflammatory properties plus it reduces redness caused by drying, and keeps skin calm and comfortable. Jojoba oil also fights harmful bacterial growth that leads to breakouts. Plus the vitamins E and B-complex help in skin repair and damage control and reduce skin lesions. Sweet almond oil is rich in vitamin E which keeps your skin healthy, smooth, soft, and free of fine lines, and protects it from the damaging effects of UV radiation. Thanks to the fatty acids, sweet almond oil helps your skin retain moisture and can soothe irritated skin. 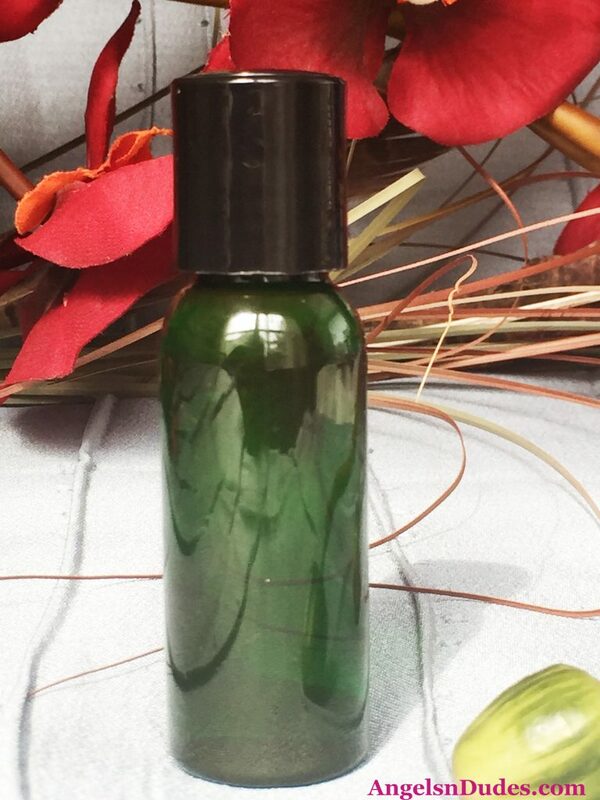 Plus the vitamin A helps reduce acne, making it ideal as a carrier oil for a natural DIY acne serum. Coconut oil is another beneficial carrier oil for skin health. It reduces inflammation, helps heal wounds, and keeps skin moisturized. Due to its low molecular weight, it’s able to penetrate your skin on a deeper level than your average carrier oil, hydrating your skin more effectively. The medium-chain fatty acids found in coconut oil also possess antimicrobial properties that can help treat acne and protect the skin from harmful bacteria. Note: When treating acne with essential oils, avoid exposure to direct sunlight. The essential oils make your skin more sensitive to the UV rays, which may lead to irritated or red skin. If using any of these essential oils makes your skin irritated or red, stop using that essential oil. Instead, try a gentler essential oil like lavender. This recipe calls for three essential oils that make a powerful serum. All of them are wonderful for the skin and will result in a fantastic scent, but more importantly, just what acne-prone skin needs when it is struggling. The combination of ingredients in this DIY acne serum will help relieve acne and heal, nourish and soothe the skin. 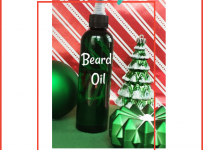 It is a great natural remedy for acne relief to keep on hand at home. If you suffer from acne-prone skin, we hope you’ll give this natural DIY acne serum a try and that it works as well for your natural acne relief needs as it does for ours! 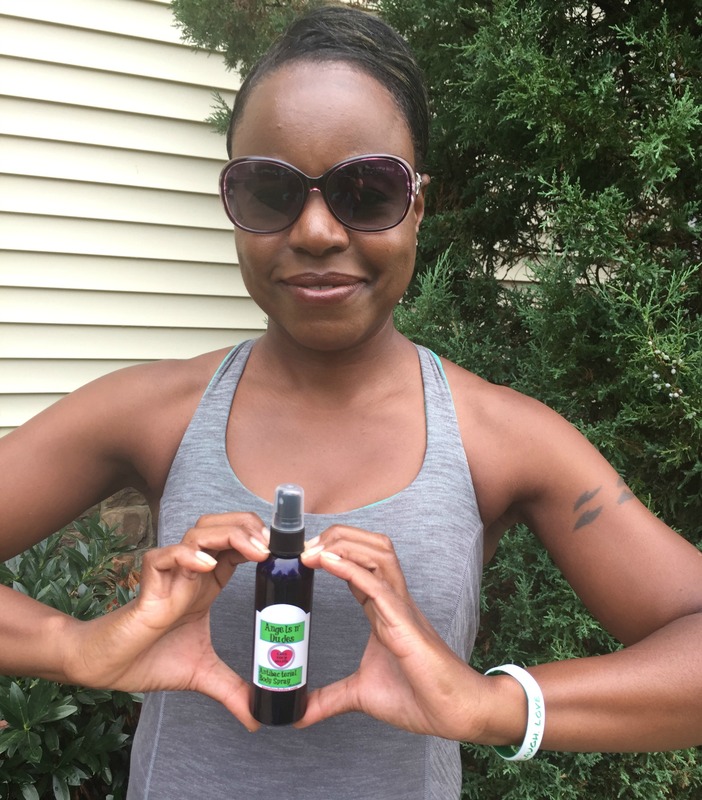 This natural DIY acne serum uses jojoba oil as its base, which nourishes and enriches your skin without clogging pores or making the skin oily or greasy. Additionally, jojoba oil has potent anti-inflammatory and antibacterial properties that fight acne, giving you skin that’s clear and free of blemishes. By combining it with juniper berry, lavender, and lemongrass essential oils, you get an all-powerful natural DIY acne serum and say goodbye to frequent breakouts and acne scars. Note: Alternatively, you can either substitute juniper berry with tea tree oil or decide to use all four essential oils. 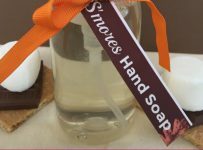 I omitted the tea tree oil because it can cause burning, itching, and skin irritation, and I originally did make this recipe for my pre-tween son. 3 mL aloe vera oil. 5 drops vitamin E oil. 5 drops juniper berry essential oil. Optional: 5 drops tea tree essential oil. 1. Place 1 ounce of jojoba oil in a bowl or container with a pour spout. Add 3 mL of aloe vera oil. 2. Add 5 drops each of vitamin E oil, juniper berry essential oil, and lemongrass essential oil. 3. Add 10 drops of lavender essential oil as well. 4. Stir the oils to blend thoroughly. 5. 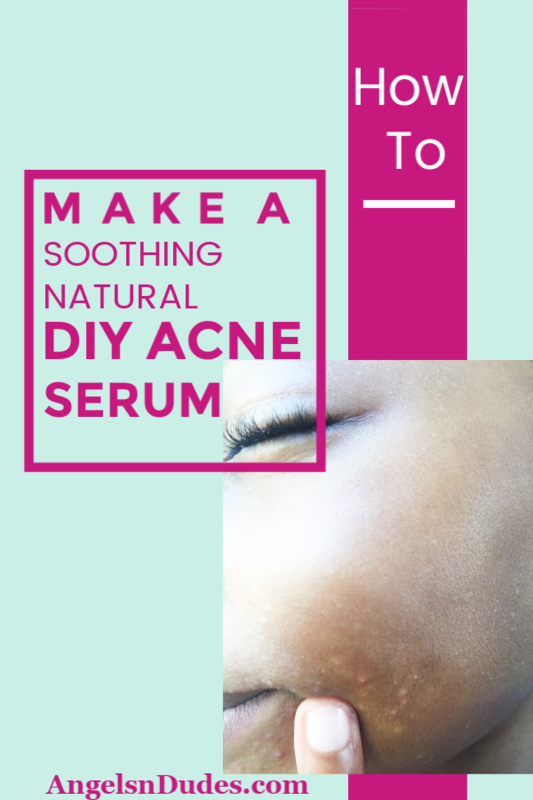 Use a funnel or pour spout to transfer the DIY acne serum into a dark-colored bottle for storage. To use: Cleanse and tone your skin thoroughly. Rub some of the oil blend between your hands then massage it into your face. Apply a few extra drops on the acne-affected skin. Apply this serum daily to get rid of acne and keep it away. You can also use it on other parts of your body that are affected by acne. Always cleanse your skin thoroughly with a mild cleanser or antibacterial soap before going to bed at night to maintain healthy skin. Failure to do so will lead to the accumulation of dirt and cosmetics on your skin and in your pores which can cause breakouts. 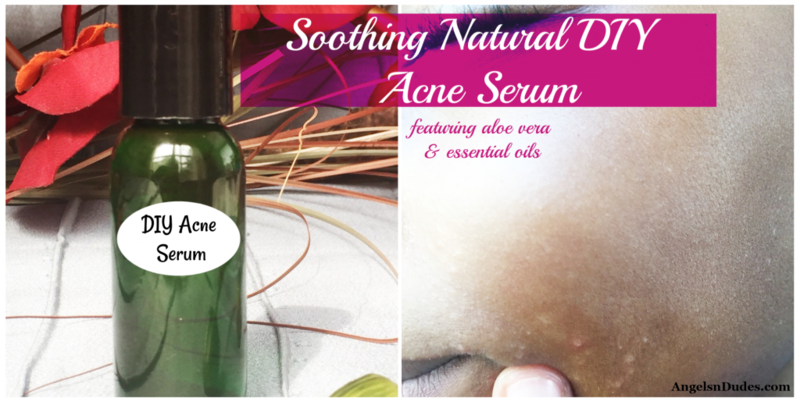 Store your natural DIY acne serum in a cool, dark and dry place. Exposing essential oils to light can cause oxidation which makes them lose their therapeutic properties and effectiveness. Let us know if this DIY acne serum worked as well for you as it did for us in the comments below! 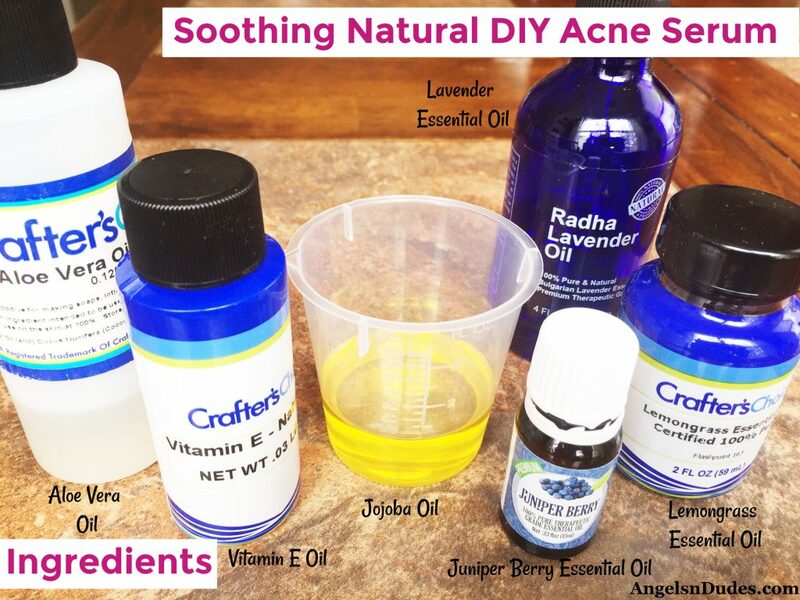 And pin this Soothing Natural DIY Acne Serum to your DIY, Essential Oils, or Natural Remedies boards!